KryptonZone Blog: #TopGear is back! Oh wow! I just finished watching the first episode of the 18th series of Top Gear on the BBC and it was awesome! For a while now, that spark seemed to have been lost in the show, but it's back - mostly thanks to that amazing Lambo Aventador. This new series also happens to usher in the 10th year this new format Top Gear has been around, becoming the most popular motoring TV programme around the world. I read a rather interesting article on the Sunday Times earlier today by Andy Wilman (producer of Top Gear) on how they go about making the show and what their expectations are. Have a look if you can. Well, one of the insights from the article, and from today's show, is that Top Gear will be travelling to China soon. That would be interesting, if not a little risky considering they've mocked just about everyone and pissed just about everyone around the world off by now. 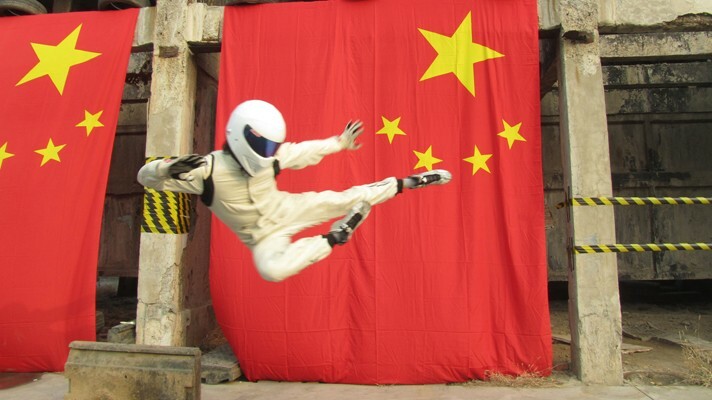 But that Kung Fu cousin of the Stig looks really funny! Today's show was basically a big road trip from the bottom of Italy to that hallowed circuit called Imola. They were all driving mid-engined supercars - Jezza in the Lambo Aventador, May in the McLaren fax machine (MP4-12C) and Hamster in the Noble M600. Interestingly, the Noble broke down after 30 miles into the trip, and after a punishing drive around the Nardó Test Track. It appears the clutch sheared and was pretty much unfixable quickly. But, amazingly, this really small British car company managed an inspiring turnaround and got a brand new car to Italy into the hands of Richard within one day. That's spectacular. There was also an inspiring bit with the Star in the Reasonably Priced Car section when Will-DOT-i-DOT-am-DOT talked about what he does and how he tries to help the underprivileged people from where he grew up. Cool stuff. Not sure about the car he is planning to sell though... Looks like an old Lancia crossed with an old Maserati. 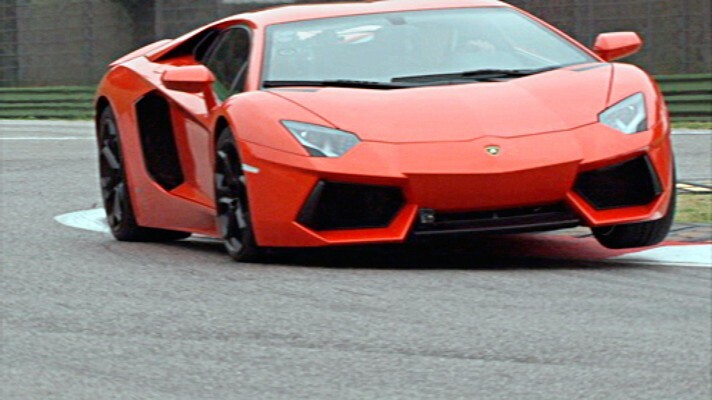 But that Aventador... OMG! It was spitting flames in a tunnel in Italy and when they suction-cupped a camera on the rear of the car at Imola, it was spine-tingling. Not sure how all this adrenaline is going to help me at this time of the night when I should think about going to bed... Awesome! Can't wait for next Sunday now.